Warwick students go into Occupation! 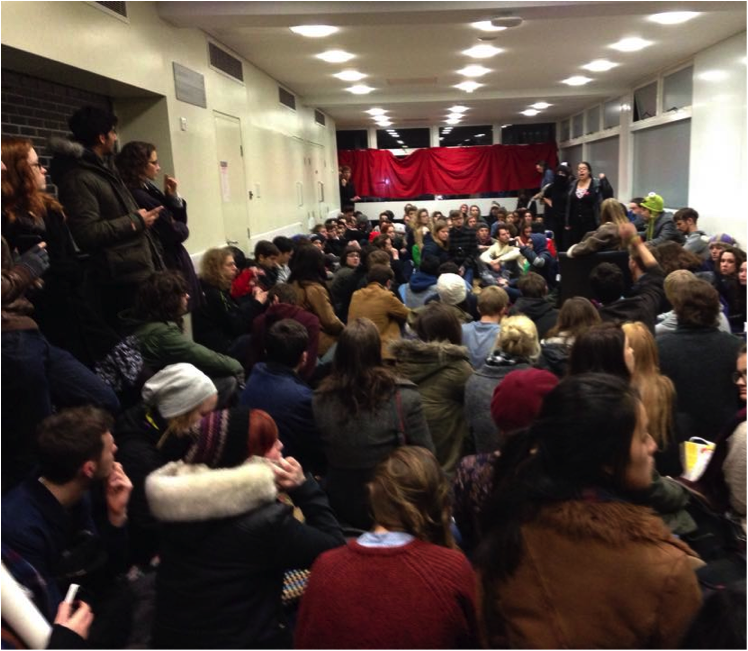 Hundreds of Warwick students are currently occupying a corporate space on campus, outside the Chancellor’s suite, in the Rootes building. Our action is to condemn the violent assault of students peacefully protesting for free education, which was committed by West Midlands police and security on 3rd December. We have secured the space and have access to all basic facilities. Our action followed a very successful demonstration earlier this afternoon, which was attended by over a thousand people including supporters from across the country. We want to take this opportunity to thank everyone who stands with us, whether it’s via social media, attending demonstrations at other universities, and especially those who are currently in a solidarity occupation at the University of Sussex! We are proud to stand here today, 24 hours after the incident, with such amazing support and unity. The whole day has remained peaceful in contrast to the police brutality we saw last night. We stand in solidarity with all the people protesting police violence across the globe and continue to discuss free education. A statement of our demands to Warwick University and West Midlands police will follow shortly. The disproportionate violence of last night will not be forgotten.